Abdur Rahman Chughtai was born in 1894 in Lahore, now in Pakistan. In 1911 Chughtai joined the Mayo School of Arts, Lahore. He eventually went on to become the head instructor in chromo-lithography at the Mayo School. A prolific artist, he created several watercolours, thousands of pencil sketches and etchings and aquatints. In 1920 He had his first exhibition at the Punjab Fine Art Society. In 1924 he had a solo show in Wimbley. Circa 1920s he exhibited with the Indian School of Oriental Art. In 1927, Chughtai published Muraqqa, which comprised of a series of illustrations he made for new edition of the highly imaginative verses of Ghalib. In 1947, after the partition he came to be known as the national artist of Pakistan. He was honoured as one of the most important Muslim artists of the early 20th century. In 1960 he was awarded Pakistan’s Hilal-i-Imtiaz. In 1964 he was awarded a Gold Medal by the President of West Germany. In 1968 he was awarded the Presidential Medal from the Pakistani government. 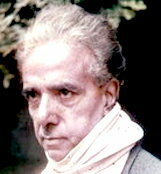 Chughtai passed away in 1975 in Lahore. In 2014, he was posthumously exhibited in ‘Chughtai’s Etchings: Editions of a Master’ at Grosvenor Gallery, London. In 2017-18 he was posthumously showcased in Nudes: assorted works at Gallery 7, Kalaghoda in Mumbai.